Vale broke the emblematic production barrier of 100 Mt of iron ore fines in a quarter, reaching a production record of 104.9 Mt in 3Q18 vs 96.8 Mt in 2Q18 and achieving a production rate of 400 Mtpy. This reflected in a new sales record for iron ore and pellets of 98.2 Mt in 3Q18, 4.7 Mt higher than the previous record in 4Q17. Premium products made up 79% of total sales in 3Q18 (vs. 77% in 2Q18) and together with the consolidation of the differentiation strategy of Vale`s product portfolio resulted in contributions of quality and average premium to a realized price of iron ore fines of US$ 8.6/t in 3Q18 vs US$ 7.1/t in 2Q18 and US$ 5.6/t in 3Q17. Vale's superior product portfolio with high Fe content and low contaminants continues to improve. On average, Fe content reached 64.0% in 3Q18 vs 63.8% in 2Q18, alumina 1.2% in 3Q18 vs 1.3% in 2Q18 and silica 3.9% in 3Q18 vs 4.2% in 2Q18. S11D had an important role in improving the share of premium products on sales to 79% in 3Q18 from 77% in 2Q18, reaching another quarterly production record of 16.1 Mt in 3Q18 vs 14.3 Mt in 2Q18, and achieving a production rate of approximately 70% of its nominal capacity in 3Q18. The breakthrough technology of the truckless system is proving effective and adherent to physical planning. Annual production in 2018 will be towards the upper limit of the 50-55 Mt guidance. 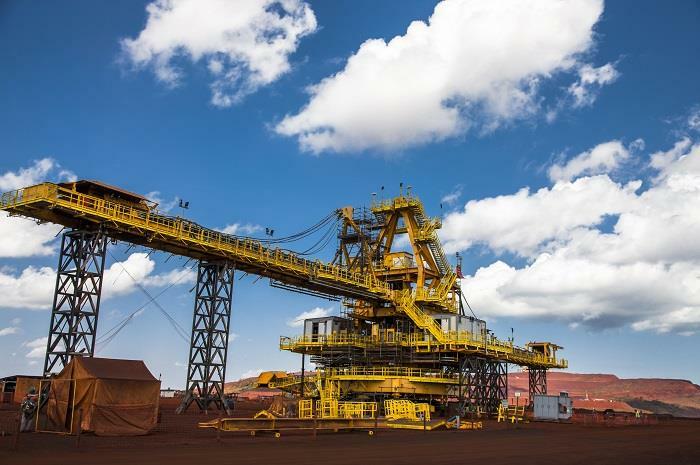 Vale reaffirms its iron ore production guidance of about 390 Mt and about 400 Mt for 2018 and 2019 onwards, respectively, as previously announced on Vale Day. Vale achieved a quarterly pellet production record of 13.9 Mt, 1.1 Mt higher than in 2Q18 mainly due to the successful ramp-up of the Tubarão I and II pellet plants. The year to date performance together with the restart of the São Luis pellet plant in 3Q18 will lead Vale to achieve its production guidance of 55 Mt in 2018 and 60 Mt in 2019. As previously announced, nickel operations in 3Q18 reflected planned one-off effects derived from Sudbury's scheduled maintenance shutdown. It was Sudbury's first annual maintenance since the shift to a single furnace and it occurred concomitantly with Thompson's transition to a mine-mill operation. Given that Thompson's feed is now sent for smelting at Sudbury, temporary effects on both operations led to overall nickel production of 55,700 t in 3Q18. These two one-offs affected only 3Q18 and now, with an enhanced flowsheet between Thompson and Sudbury, production is expected to go back to previous guidance levels from 4Q18 onwards. Sequential improvements are also expected in 2019 as the nickel business is under restructuring, with the new management team aiming to adjust mine plans, optimize nickel's cost structure and achieve higher efficiency. Copper production reached 94,500 t in 3Q18, 3,400 t lower that in 2Q18, reflecting the annual scheduled maintenance shutdown in Sudbury and the strategic decision to decrease mine production at Voisey's Bay to extend the mine lifespan to match the Voisey´s Bay Mine Extension - VBME underground development schedule. As previously reported, the Coal business is reviewing mine plans and operations to ensure a sustainable ramp-up from 2019 onwards. The structural changes started to bear fruit in 3Q18, with production totaling 3.2 Mt, 11.3% higher than 2Q18.